Watch Out for Eric Wyatt! 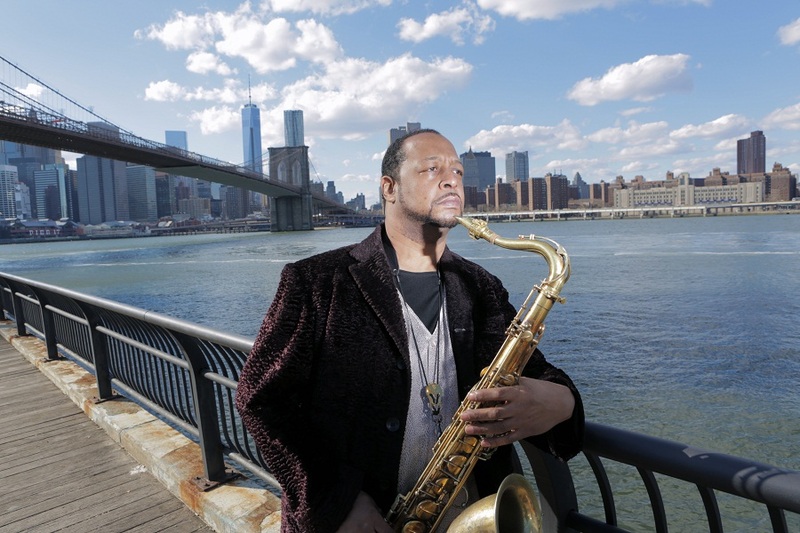 Eric Wyatt is a saxophonist born and raised in Brooklyn, New York. He was introduced to the sax by his father Charles Wyatt, who played tenor and hung out with many of the great jazz icons: Charlie Parker, Gary Bartz, George Braith, Wilber Ware, Thelonious Monk, Dizzy Gillespie, and more. Eric had the privilege of meeting two great jazz masters, both of whom changed his life: Miles Davis and his godfather, Sonny Rollins. Eric recalls, "When I met Miles I was 10 years old and was playing trumpet at the time. He was playing at the Bottom Line, a club in New York, and I never forgot all the energy and joy that this man brought to the audience. Sonny was a friend to the family and stayed connected to us after my father passed." Sonny Rollins also helped Eric record his first CD for King Records (Japan) titled "God Son", with the great Al Foster on drums, Rufus Reid on bass and pianist Mark Soskin from Sonny’s band. Eric has been recording and traveling the world as both leader and sideman and continues to build an impressive, solid resume.HIGHLIGHTS of his perfomances in 2015 Eric was invited to perform at the Kuala Lumpur International Arts Festival .performing music from his new cd Borough of Kings . He also was invited to perform in Singapore at several jazz venues during this tour . He did several workshops an master classes at Lasalle College an the World Arts University. Also was the spoecial guest of master bassist Christy Smith at several venues Sing Jazz club an Blu Jazz.He also was invited to perform at the Apollo for the Sonny Rollins Lifetime Achievement Award were he performed with Kenny Garrett , Rene Mclean an many jazz legends Oct 22. There is a video on youtube Dont Stop the Carnival 2015 were the event was documented. He has played with and recorded on records with Jeff Tain Watts, Robert Glasper, Kenny Garrett, Wynton Marsalis, Roy Hargrove, Donald Vega, Branford Marsalis, Bob Cranshaw, James Spaulding, Keyon Harrold, E. J. Strickland, Jeremy Pelt, Willie Jones III, Clifton Anderson, Warren Wolf, Monty Alexander, Benito Gonzalez, Larry Willis, Stephen Scott, Justin Robinson and many others. Eric has performed internationally in Japan, Shanghai, Hong Kong, Lebanon, Singapre Malaysia, Athens, Thessolnikki Greece, Nice, and Paris, France. He has recorded 5 CDs as a leader: "God Son", King Records (Japan), "Live at the Half Note", "The Blue Print", and "Live at the Brookyln Paramount". His new CD entitled "From the Borough of Kings" is on Positone records an was voted one of the best cds of 2014 on several jazz list www.burningambulance.com. Upon his return to the US from Singapore he recorded a new cd which features Grammy nominated pianst Benito Gonzalez, Eric Wheeler bassist with Dee Dee Bridgewater, Shinnosuke Takahashi drums, Keyon Harrold trumpeter from the new Miles Davis documentary an Kyle Poole drummer from the Thelonious Monk competition . 2016 looks to be a great year as Eric has been invited back to perform again in Singapore an Malaysia.